On April 18, 2018, The Drama League announced the 2018 Drama League Awards Nominees, listed below. The nominations were announced at Sardi’s by Tony® Award winners Harriet Harris, Julie White and Tony®Award nominee Christopher Sieber, and the announcement was streamed live online at BroadwayWorld.com. The winners in each of the five categories were revealed at the 84th Annual Drama League Awards luncheon and ceremony on May 18 and are highlighted in red below. 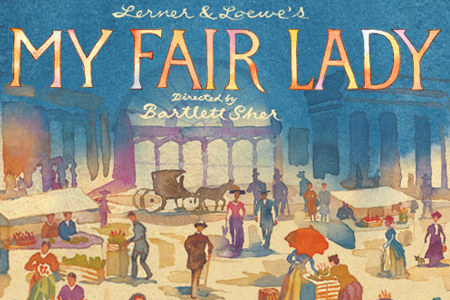 The festivities were co-hosted by Taylor Louderman, Ashley Park, and Kate Rockwell – the title trio of Broadway’s Mean Girls – and the 2018 Drama League Awards winners were revealed by actor Norbert Leo Butz, who appeared in this season’s My Fair Lady at Lincoln Center Theater as well as The New Group’s Whirligig. Connect with The Drama League on Facebook, Instagram, and Twitter to see photos from the big event! Congratulations to all the nominees and winners on an incredible season of theater! Produced by Joey Parnes, Sue Wagner, John Johnson, Seth A Goldstein, James L. Nederlander, The John Gore Organization, Scott Rudin, Eli Bush, FG Productions, Jamie deRoy, Sally Horchow, Sharon Karmazin, Barbara Manocherian, JABS Theatricals, Ergo Entertainment, Seth A. Goldstein, Elm City Production, Diana DiMenna, Jay Alix & Una Jackman, Jennifer Manocherian, Cricket Jiranek, Catherine Adler & Marc David Levine, The Shubert Organization (Philip J. Smith: Chairman; Robert E. Wankel: President). Associate Producer: Jillian Robbins. Produced by Tim Levy, National Theatre America, Jordan Roth, Rufus Norris & Lisa Burger, The Royal National Theatre, Elliot & Harper Productions, Kash Bennett, Aged in Wood, The Baruch-Viertel-Routh-Frankel Group, Jane Bergère, Adam Blanshay Productions, CatWenJam Productions, Jean Doumanian, Gilad-Rogowsky, Gold-Ross Productions, The John Gore Organization, Grove Entertainment, Harris Rubin Productions, Hornos-Moellenberg, Brian and Dayna Lee, Benjamin Lowy, Stephanie P. McClelland, David Mirvish, Mark Pigott, Jon B. Platt, E. Price-LD ENT., Daryl Roth, Catherine Schreiber, Barbara Whitman, Jujamcyn Theatres (Jordan Roth: President; Rocco Landesman: President Emeritus; Paul Libin: Executive Vice President Emeritus; Jack Viertel: Senior Vice President), The Nederlander Organization (James L. Nederlander, President), The Shubert Organization (Philip J. Smith, Chairman; Robert E. Wankel, President). Associate Producer: Franki De La Vega, Red Awning, and Nicole Kastrinos. Produced by Hal Luftig, LHC Theatrical Development, Craig Haffner & Sherry Wright, Yasuhiro Kawana, James L Nederlander, Rodney Rigby, Albert Nocciolino/Independent Presenters Network, Blue Fog Productions, Suzanne L Niedland, The Shubert Organization (Philip J. Smith, Chairman; Robert E. Wankel, President), Jhett Tolentino, Steve & Paula Reynolds, Nyle DiMarco, Roundabout Theatre Company (Todd Haimes: Artistic Director/CEO; Julia C. Levy: Executive Director; Sydney Beers: General Manager; Steve Dow: Chief Administrative Officer). Associate Producer: Sandy Block. Executive Producer: Tamar Climan. Produced by Scott Rudin, Eli Bush, Universal Theatrical Group, Eric Falkenstein, Dan Frishwasser, The John Gore Organization, James L. Nederlander, Peter May, Stephanie P. McClelland, Candy Spelling, Stephen C Byrd & Alia Jones-Harvey, Patty Baker, Diana DiMenna, David Mirvish, Wendy Federman & Heni Koenigsberg, Benjamin Lowy & Adrian Salpeter, and Jason Blum. Associate Producer: Jillian Robbins and Tom Ishizuka. Executive Producer: Joey Parnes, Sue Wagner, and John Johnson. Produced by Scott Rudin, Eli Bush, The John Gore Organization, James L. Nederlander, Candy Spelling, Len Blavatnik, Universal Theatrical Group, Rosalind Productions Inc., Eric Falkenstein, Peter May, Jay Alix & Una Jackman, Patty Baker, Diana DiMenna, David Mirvish, Wendy Federman & Heni Koenigsberg, Benjamin Lowy & Adrian Salpeter, Jason Blum, Jamie deRoy, Gabrielle Palitz, Ted Snowdon, and Richard Winkler. Executive Producer: Joey Parnes, Sue Wagner, and John Johnson. Produced by Orin Wolf, StylesFour Productions, Evamere Entertainment, Atlantic Theater Company (Neil Pepe, Artistic Director; Jeffory Lawson, Managing Director), David F Schwartz, Barbara Broccoli, Frederick Zollo, Grove REG, Lassen Blume Baldwin, Thomas Steven Perakos, Marc Platt, The Shubert Organization (Philip J. Smith, Chairman; Robert E. Wankel, President), The Baruch/Routh/Frankel/Viertel Group, Robert Cole, DeRoy-Carr-Klausner, Federman-Moellenberg, FilmNation Entertainment, Roy Furman, FVSL Theatricals, Hendel-Karmazin, HoriPro Inc, Intependent Presenters Network, Jam Theatricals, The John Gore Organizations, Koenigsberg-Krauss, David Mirvish, James L. Nederlander, Al Nocciolino, Once Upon a Time Productions, Susan Rose, and Paul Shiverick. Associate Producer: Steven Chaikelson. Produced by New York Theatre Workshop (James C. Nicola, Artistic Director; Jeremy Blocker, Managing Director; Linda S. Chapman, Associate Artistic Director). Originally commissioned, developed and produced by Z Space and piece by piece productions. Produced by Lorne Michaels, Stuart Thompson, Sonia Friedman, Paramount Pictures, Marisa Sechrest, Ars Nova Entertainment, Berlind Productions, Steve Burke, Scott M. Delman, Roy Furman, Robert Greenblatt, Ruth Hendel, Jam Theatricals, The John Gore Organization, The Lowy Salpeter Company, James L. Nederlander, Christine Schwarzman, and Universal Theatrical Group. Associate Producer: Micah Frank and Caroline Maroney. Executive Producer: David Turner. Produced by Nickelodeon, The Araca Group, Sony Music Masterworks, and Kelp On The Road. Executive Producer: Susan Vargo. Produced by Roy Furman, Scott Rudin, Barry Diller, Edward Walson, Universal Theatrical Group, Benjamin Lowy, Eli Bush, James L. Nederlander, Candy Spelling, The John Gore Organization, Peter May, Ronnie Lee, Sid & Ruth Lapidus, Stephanie P. McClelland, Sandy Robertson, Caiola Productions, Len Blavatnik, Dominion Ventures, SHN Theatres, The Araca Group, Patty Baker, Al Nocciolino, Darlene Marcos Shiley, Julie Boardman & Marc David Levine, Jennifer Fischer & Olympus Theatricals, Candia Fisher & Allen L. Stevens, Jon Jashni & Matthew Baer, Thomas S. Perakos & Jim Fantaci, Wendy Federman & Heni Koenigsberg, Bruce Robert Harris and Jack W. Batman, and John Thomas. Associate Producer: Jillian Robbins and Tom Ishizuka. Executive Producer: Joey Parnes, Sue Wagner, and John Johnson. Produced by Lincoln Center Theater (André Bishop: Producing Artistic Director; Adam Siegel: Managing Director; Hattie K. Jutagir, Executive Director of Development and Planning). Produced in association with Nederlander Presentations Inc. Mindich Chair Musical Theater Associate Producer: Ira Weitzman. Produced by Ken Davenport, Hunter Arnold, Carl Daikeler, Roy Putrino, Broadway Strategic Return Fund, Sandi Moran, Caiola Productions, H. Richard Hopper, Diego Kolankowsky, Brian Cromwell Smith, Ron Kastner, Rob Kolson, Judith Manocherian/Kevin Lyle, Jay Alix/Una Jackman/Jeff Wise, Witzend Productions/Jeffery Grove/Wishnie-Strasberg, Mark Ferris/Michelle Riley/Marie Stevenson, Silva Theatrical Group/Jesse McKendry/Dr. Moigan Fajiram, Conor Bagley/Brendan C. Tetro/Invisible Wall Productions, SilverWalport Productions/Tyler Mount/UshkowitzLatimer Productions, Deitric Johnson/Steven Mulligan/Reilly Hickey, The Harbert Family/Keith Cromwell/Red Mountain Theatre Company, 42nd.club/The Yonnone Family/Island Productions. Associate Producer: Kayla Greenspan and Valerie Novakoff. The Drama League previously announced the 2018 Special Recognition Award Recipients, chosen by a separate panel of theatre professionals: Tony® Award winner Idina Menzel received the Distinguished Achievement in Musical Theater Award; director Casey Nicholaw, currently represented on Broadway with Mean Girls, Aladdin, and The Book of Mormon, received The Founders Award for Excellence in Directing; and the National Endowment for the Arts (represented by Chairman Jane Chu) received the Unique Contribution to the Theater Award. The 2018 Outer Critics Circle Award winners have been announced. 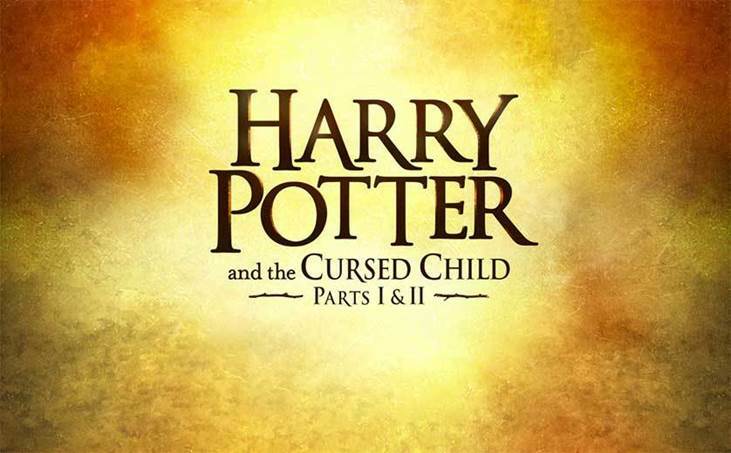 Harry Potter and the Cursed Child tops the list, taking home six honors, including Outstanding New Broadway Play, with My Fair Lady receiving five awards, including Outstanding Revival of a Musical. The full list of winners is below. Hyperlinked shows are currently running at time of publication. Click on links to purchase tickets. 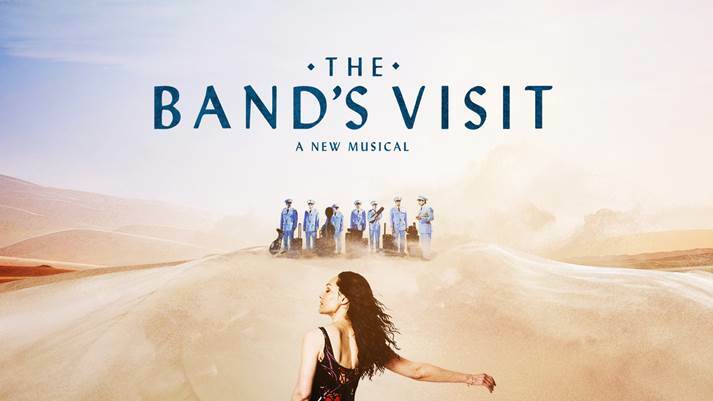 The Band’s Visit was nominated for and received multiple awards from the Outer Critics Circle last season and therefore was not considered this year. The awards were presented on Thursday, May 24, at Sardi’s Restaurant. Who Won Big at the Drama Desk Awards? Full List! 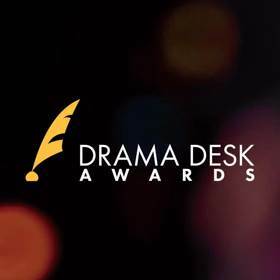 The time has come for the 63rd Annual Drama Desk Awards, hosted by Michael Urie, June 3 (8:00 PM) at The Town Hall in Manhattan. The Drama Desk Awards considered shows that opened on Broadway, Off Broadway and Off Off Broadway during the 2017-2018 New York theater season. Ensemble Award: To Nabiyah Be, MaameYaa Boafo, Paige Gilbert, Zainab Jah, Nike Kadri, Abena Mensah-Bonsu, Mirirai Sithole, and Myra Lucretia Taylor of School Girls; Or, the African Mean Girls Play, whose characters learn the facts of life but whose portrayers taught us all a thing or two about the way things are. The Tony Awards nominations were led by “Mean Girls” and “SpongeBob SquarePants,” garnering 12 nods each. Revivals of “Angels in America” and “Carousel,” as well as the new musical “The Band’s Visit,” received 11 nominations apiece. Editir’s pick: Katrina, Katrina, Katrina! Hopefully. But Mueller an insider favorite, Winner: Mueller despite substandard performance. Editor’s pick: Angel’s design borders on hokey, Farinelli excellent. Winner: Harry Potter! Editor’s Pick: I think the most intriguing and touching award goes to this multigenerational family business that works daily overnight to keep costumes fresh and clean and the hardships and emergencies they encountered during Sandy when a truck literally had to be fished out of the water and the costumes cleaned in time. Its steady work which is lucky but grueling – to make the adage possible – he show must go on.